The SSEP Mission 10 to ISS flight experiments payload Casper is scheduled to launch today, Thursday, June 1, 2017, at 5:55 pm ET from Launch Complex 39A, Kennedy Space Center, Florida, aboard SpaceX CRS-11. If there is a scrub, NASA will recycle to Saturday, June 3, 2017, with launch at 5:07 pm ET. The launch will be covered live on NASA TV, and we have provided a video portal below if you’d like to watch right here on the SSEP National Program website. Also below is the May 25, 2017, NASA Media Advisory which provides NASA TV live coverage times for both launch, and arrival at Station on Sunday, June 4. In addition, SpaceX will have a live webcast of the launch, and we have also provided a video portal for the SpaceX webcast below. A heartfelt congratulations to all 48 student researchers comprising the 11 SSEP Mission 10 flight teams – we are all very proud of you. To SSEP Mission 11 flight teams – consider this a dry run for launch of M11 America on SpaceX CRS-12 later this year. 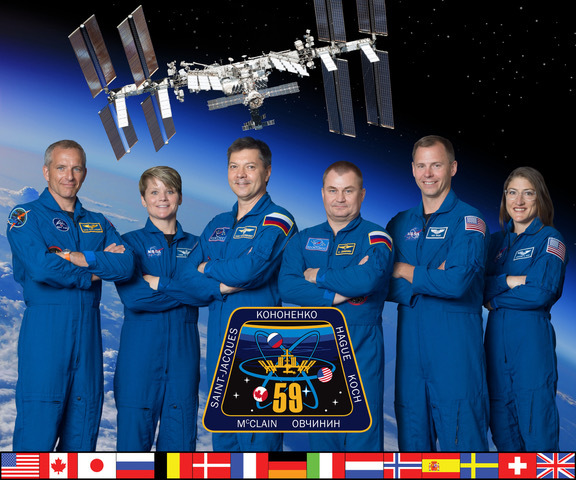 SSEP – real spaceflight all the time. That’s what we promised. As of this writing, we are at T-minus 6 Hours 48 minutes and counting. Godspeed Dragon. See the countdown clock in the right column. There are 18 (of 48) SSEP student researchers traveling down for the launch of their experiments, representing 6 of the 11 Mission 10 communities: Camden, AR; the iLEAD Consortium, CA; Middletown, DE; University System of Maryland; Summit, NJ; and Houston, TX. 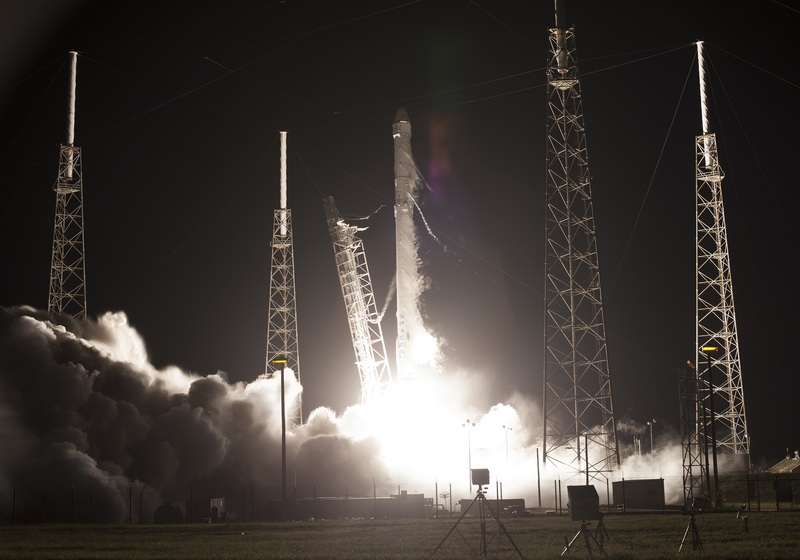 NASA commercial cargo provider SpaceX is targeting its eleventh commercial resupply services mission to the International Space Station for 5:55 p.m. EDT Thursday, June 1. Launch coverage will begin on NASA Television and the agency’s website at 5:15 p.m., followed by the post-launch news conference at 7:30 p.m. The SpaceX Dragon spacecraft will liftoff on the company’s Falcon 9 rocket from Launch Complex 39A at NASA’s Kennedy Space Center in Florida, carrying almost 6,000 pounds of science research, crew supplies and hardware to the orbiting laboratory in support of Expedition 52 and 53 crew members. The unpressurized trunk of the spacecraft also will transport solar panels, tools for Earth-observation and equipment to study neutron stars. About 10 minutes after launch, Dragon will reach its preliminary orbit. It then will deploy its solar arrays and begin a carefully choreographed series of thruster firings to reach the space station. When it arrives to the space station, Expedition 52 Flight Engineers Jack Fischer and Peggy Whitson of NASA will grapple Dragon. Live coverage of the rendezvous and capture will begin at 8:30 a.m. Sunday, June 4, on NASA TV, with installation coverage set to begin at 11:30 a.m. If the launch does not occur on June 1, the next launch opportunity is 5:07 p.m. Saturday, June 3, with NASA TV coverage starting at 4:30 p.m. The Dragon spacecraft will remain at the space station until approximately July 2, when it will return to Earth with research and return cargo in a splashdown in the Pacific Ocean, off the coast of Baja California. Media at Kennedy will have the opportunity to participate in special tours and briefings May 31 and June 1, as well as view the launch. The deadline for media to apply for accreditation for this launch has passed, but for more information about media accreditation, contact Jennifer Horner at 321-867-6598 or jennifer.p.horner@nasa.gov. This will be the 100th launch, and sixth SpaceX launch, from this pad. Previous launches include 11 Apollo flights, the launch of the unmanned Skylab in 1973, 82 shuttle flights and five SpaceX launches.